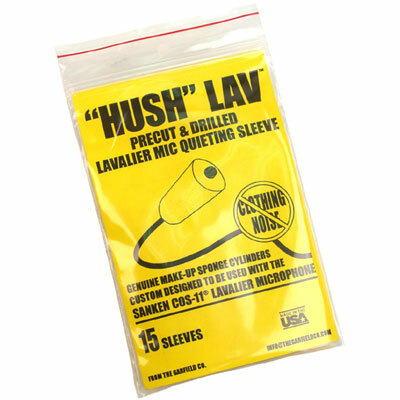 The PSC Hush Lav is a quieting foam sleeve for a lavalier microphone. Created from make-up sponge cylinders, the Hush Lav acts to quiet noise created from clothing when hidden or exposed. While a perfect fit for Sanken COS-11 lavaliers, the Hush Lave can be used creatively for many manufacturers lavs. 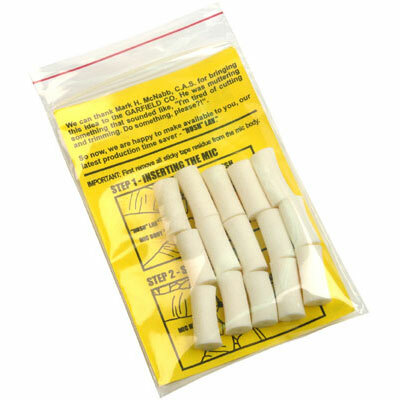 This is a must for the sound kit. 1 Pk includes 15 pieces. Available in white or black.